One of the “tools” in my art suitcase is usually an art book or two, that I have made, to use to tell children, in oral learning cultures, different Bible stories. After sharing God’s heart, His character or one of His amazing attributes, my team and I ask the children to make art in response to the Bible story. 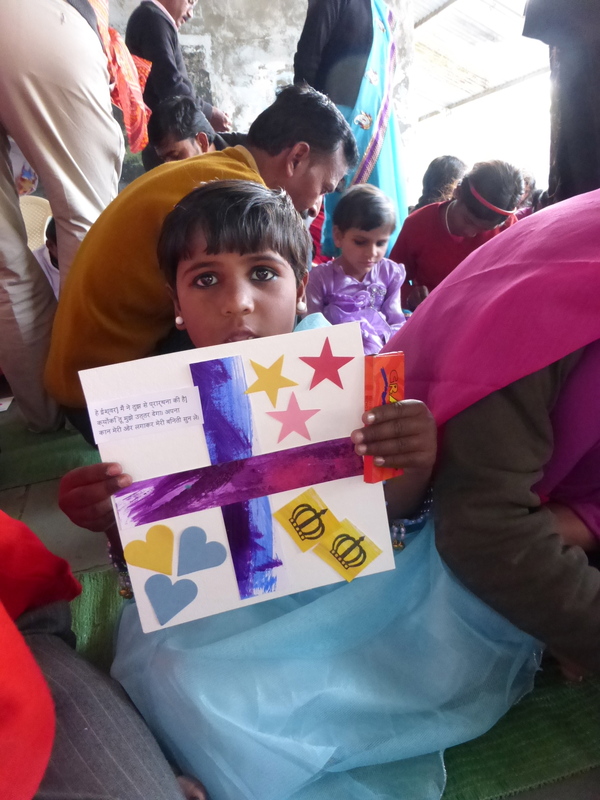 A child in India responds to the story of Abraham, Hagar and Sarah. 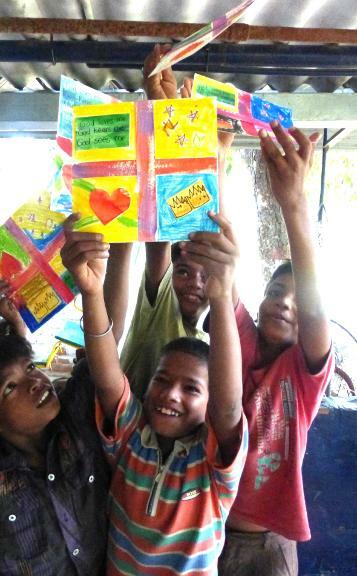 Joyous children from a slum in India after hearing the Bible story and making the art. 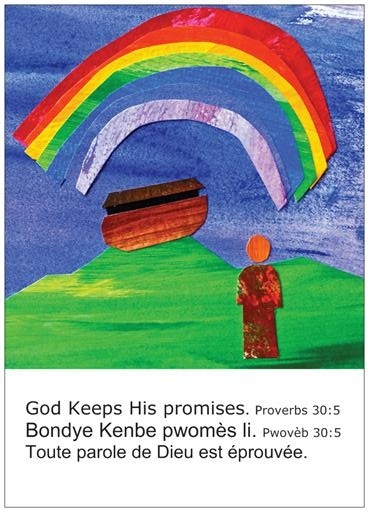 Art card given to each child who heard the story of Noah when I was serving in Haiti. 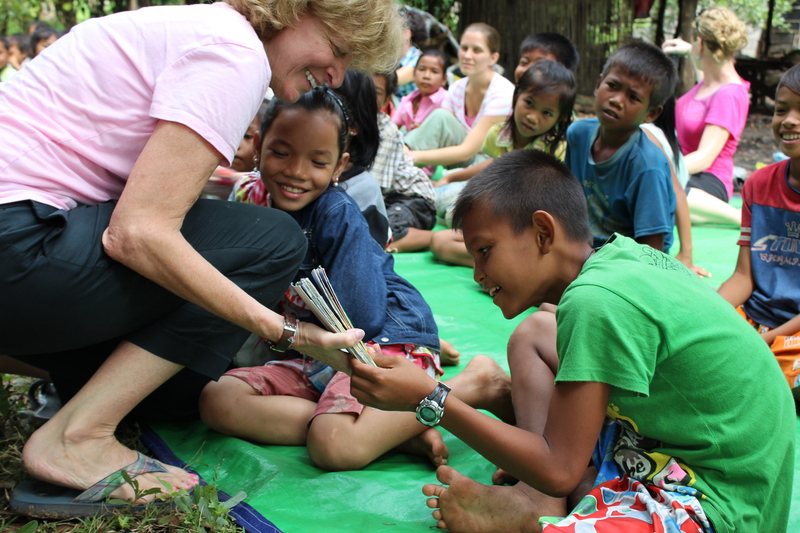 It is always a joy to spend time with children all over the world, and to teach them the Bible truths using art! 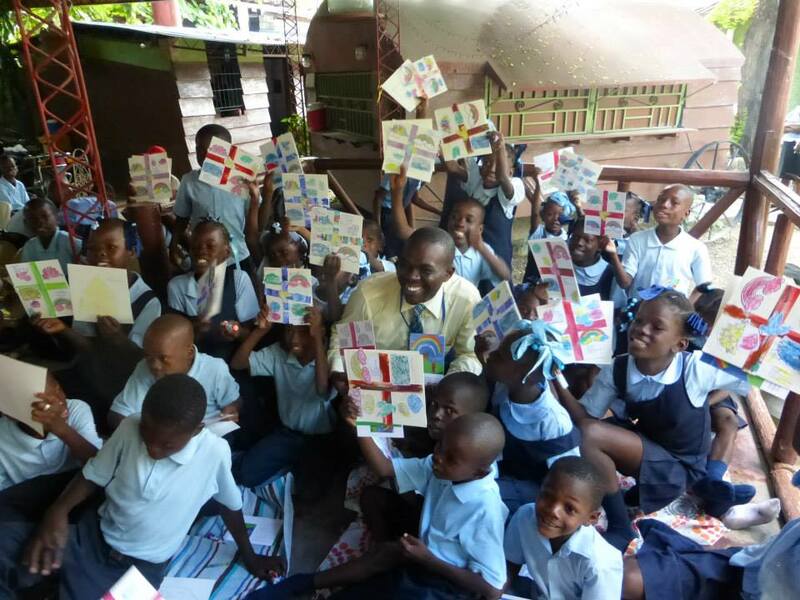 The children from Cité Soleil after making the art about Noah’s Story.